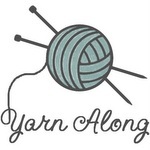 here's my first yarn along post. I'm back to knitting this boneyard shawl, which I actually knit for my mum last year for her 80th birthday out of the sublime Madelinetosh Pashmina in the Glazed Pecan colourway. She recently visited and gave me the shawl back to add a bit of length! As for reading, I have to admit, knitting kinda replace reading when I took up knitting in a big way after my 2year old son was born! But said boy sure is a bookworm , and we are both loving Pelle's New Suit by Elsa Beskow !! 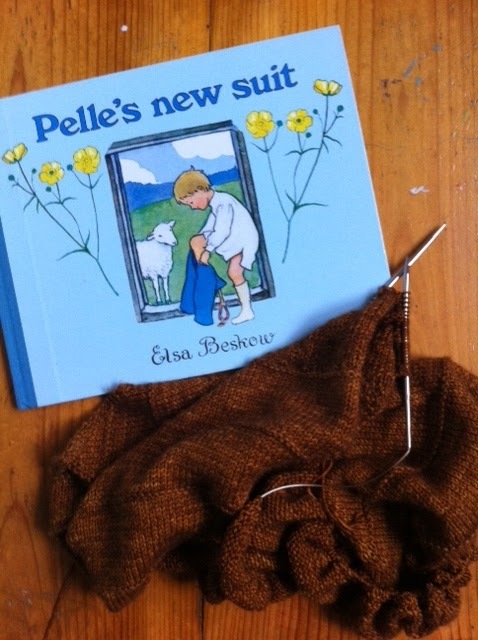 A delightful book about the journey from wool off a sheep's back to a new blue suit! Sweet.